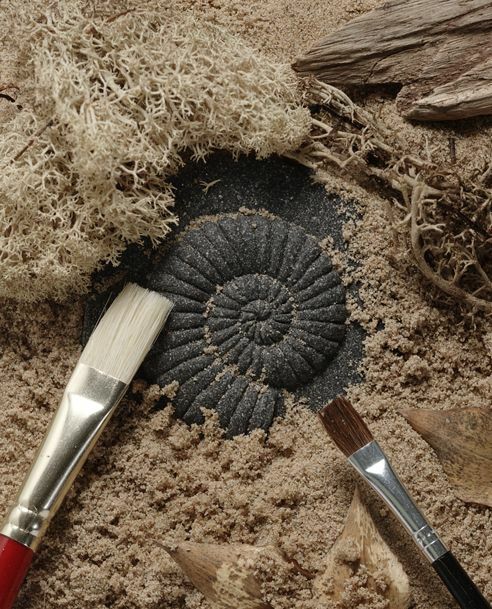 Fossils inspire children’s imagination and excite young learners. 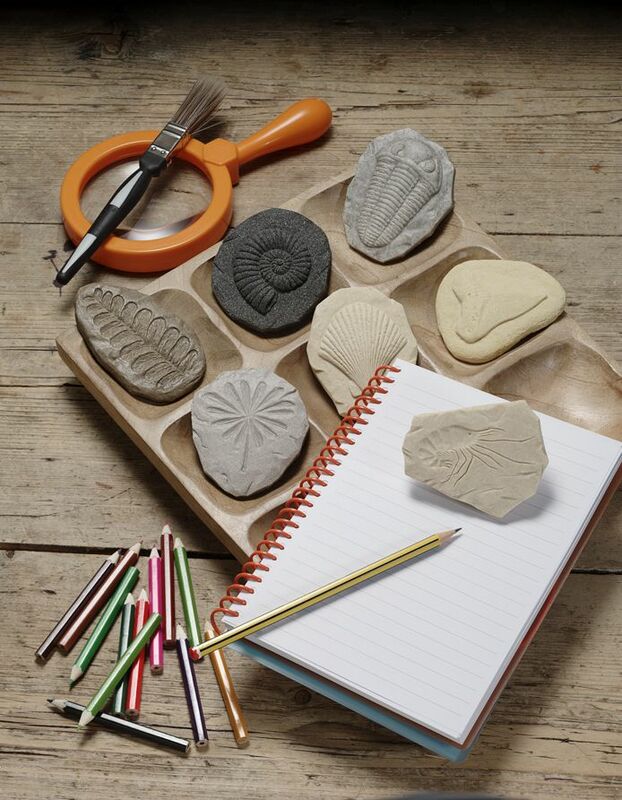 They will delight in discovering and examining this set of eight attractive, realistic, and tactile specimens, including ammonite, clam shell, fern leaf, preserved leaves, sea urchin, shark’s tooth, shrimp, and trilobite. 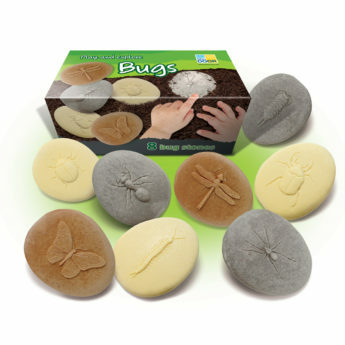 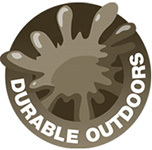 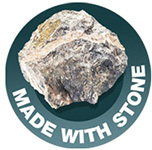 Made from a unique stone mix, they are robust enough to be used throughout an early years setting, both in an indoor and outdoor environment. 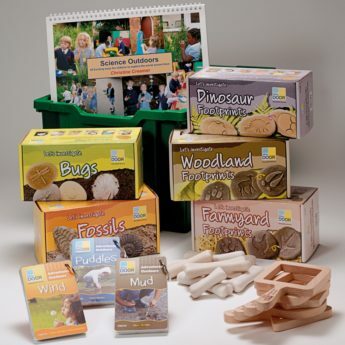 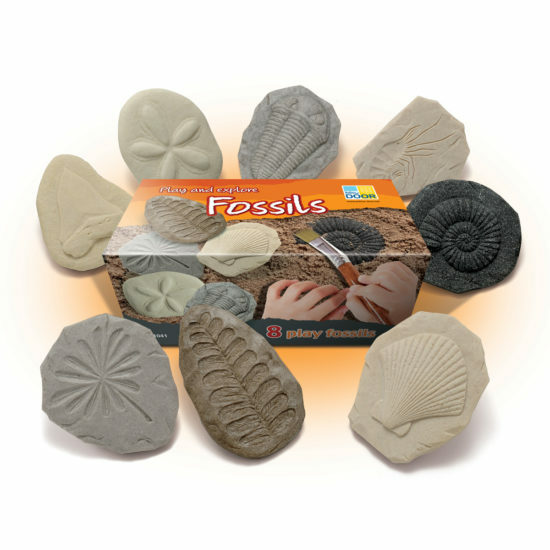 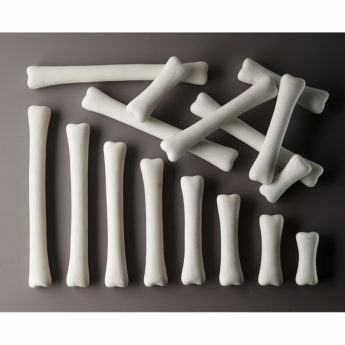 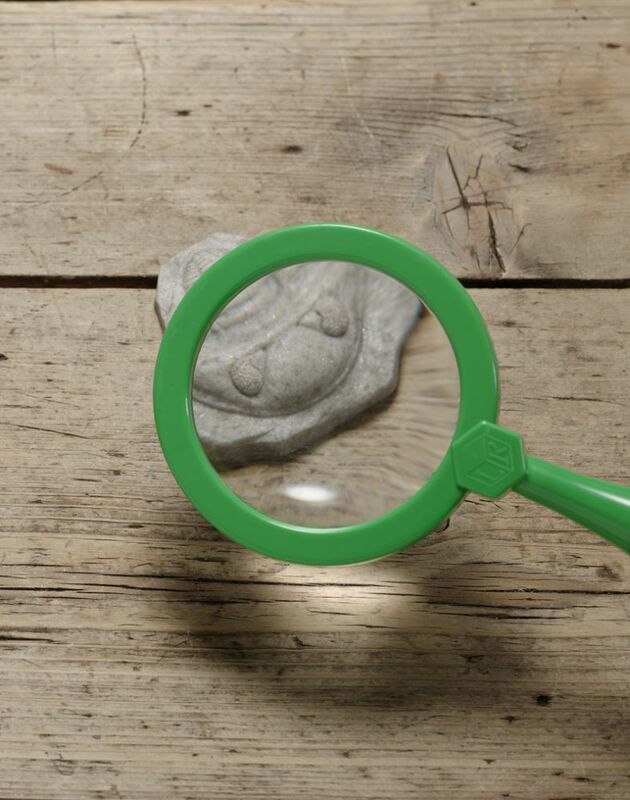 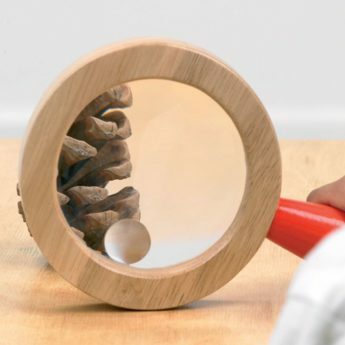 Designed to fit snugly in small inquisitive hands (80-90mm), these fossils have huge potential for discovery, storytelling, and provide a great springboard to further activities. 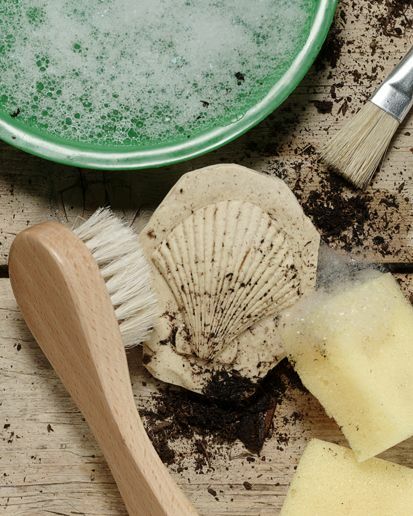 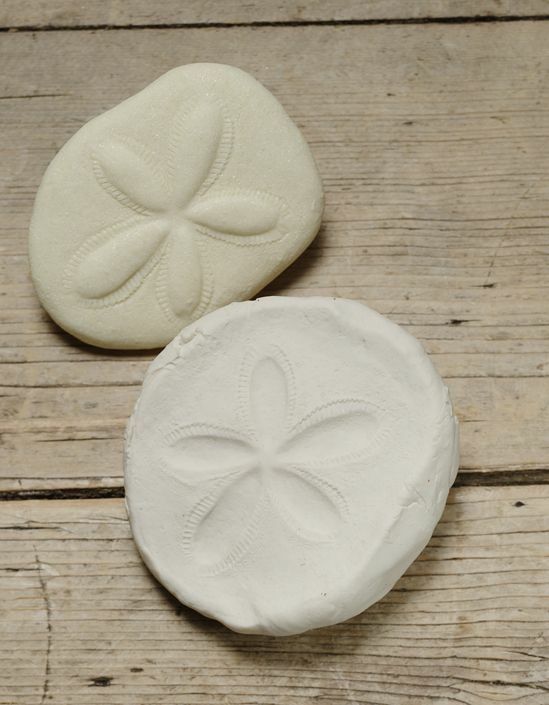 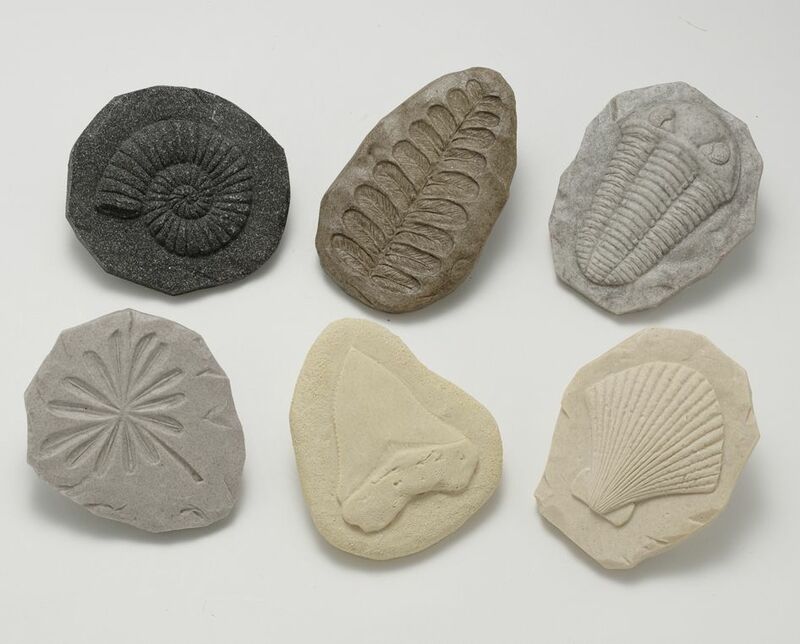 Go on a fossil hunt, discover them buried outside or in a sand tray, dig them up and clean them off. 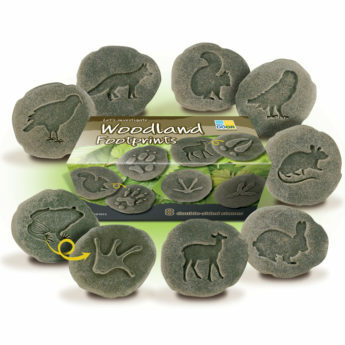 Record what’s been found by taking a wax rubbing and/or making a fossil imprint in modelling clay. 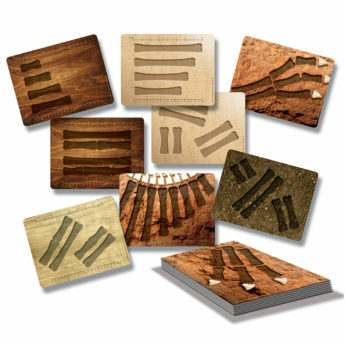 They are also great for non-fiction research, the gathering of evidence, and the reaching of conclusions. 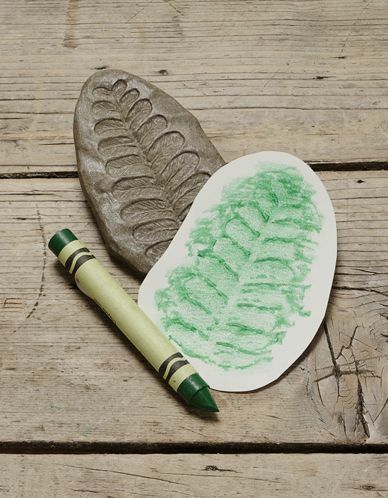 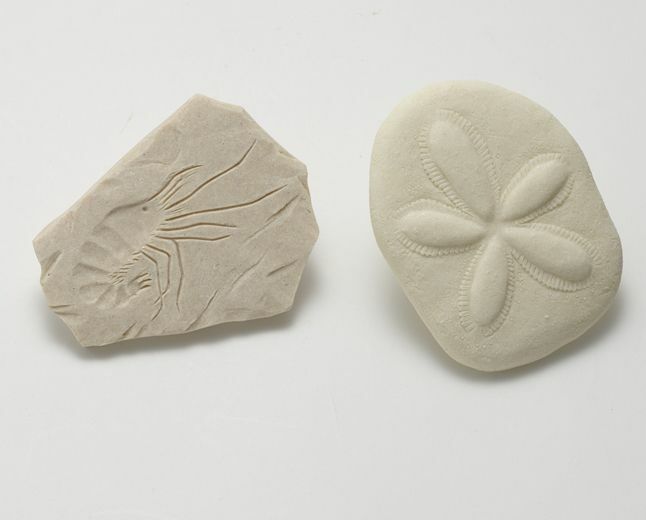 The fossils can be used in further creative ways through the making of fossil gardens, displays of rubbings and clay imprints, and role play. 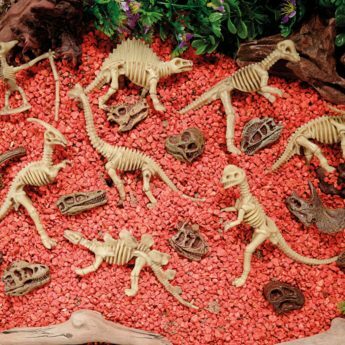 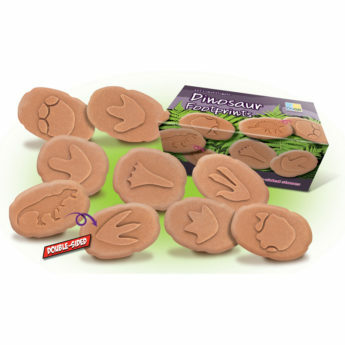 These fossils are an ideal addition to any dinosaur theme and can be used in endless small-world and role-play activities. 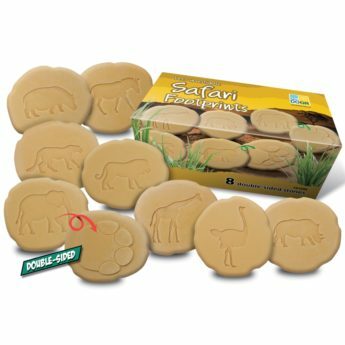 Age 2+.